Radiate radical confidence and sophistication with the John Varvatos Collection® Fleetwood Pin Strap Boots. Monk strap with three buckle closure across the vamp. Durable lug leather outsole with square rubber heel strike. 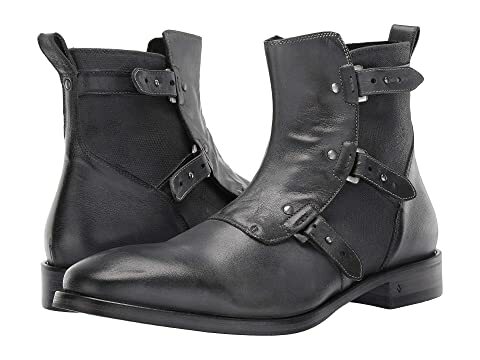 We can't currently find any similar items for the Fleetwood Pin Strap Boot by John Varvatos Collection. Sorry!